Maryland is a U.S. state located in the Mid Atlantic region of the United States, bordering Virginia, West Virginia, and the District of Columbia to its south and west; Pennsylvania to its north; and Delaware to its east. Maryland was the seventh state to ratify the United States Constitution, and three nicknames for it (the Old Line State, the Free State, and the Chesapeake Bay State) are occasionally used. 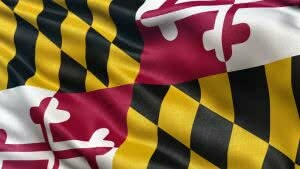 Maryland is the 9th smallest state by area, but the 19th most populous and the 5th most densely populated of the 50 United States. The state’s most populated city is Baltimore. Its capital is Annapolis. Maryland’s major industries include transportation, raw materials, and government services. Maryland requires corporations to have names that can’t be confused with name of any existing entity. Company Express will research your company name to make sure it meets Maryland’s standards. Required documents: Articles of Incorporation filed with the Department of Assessments and Taxation. Minimum number: Minimum one director is required. Corporations are also required to have a president, secretary and treasurer. Appearance in articles: Required. Director names and addresses are required to be listed in the Articles of Incorporation. Corporation’s principal office must be located inside the state for record keeping, but does not require business be conducted there. Local registered agent is required. Time to file: Personal property return should be filed on or before April 15. Signatures: Only company officers are authorized to sign annual reports. Emailed or faxed signatures are not accepted. Maryland requires Limited Liability Companies to have names that can’t be confused with any other Limited Liability Company name, including reserved names, registered names and forced DBA names. Company Express will research your company name to make sure it meets Maryland’s standards. Turnaround time: IAbout 5-7 business days. LLC’s principal office must be located inside the state and local registered agent is also required. Time to file: Annual personal property return should be filed on or before April 15. Signatures: Only a manager or member may sign returns. Emailed or faxed signatures are not accepted.